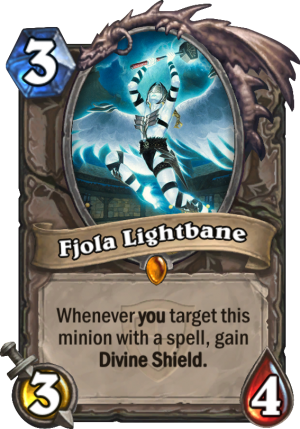 Fjola Lightbane is a 3 Mana Cost Legendary Neutral Minion card from the The Grand Tournament set! Casting Inner Rage on Fjola Lightbane will cause the Divine Shield to appear and then burst (absorbing the damage). 3 Mana 3/4 was already good, but the divine shield effect puts it over the top. 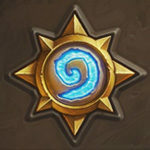 I think it will see play in Priest and Aggro Paladin.